The BeWater project ran from October 2013 – March 2017 and is now completed. The project outputs remain accessible from this website. 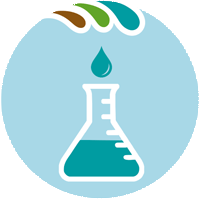 BeWater developed an innovative approach to ensure effective dialogue and collaboration between Science and Society to foster sustainable water management in the Mediterranean in the face of global change. The step-by-step guide to the BeWater approach can be adapted for use in other basins and to support environmental decision-making processes in other fields and sectors. Developing Participatory Adaptation Plans for River Basins – a handbook is a step-by-step guide to the BeWater approach, facilitating replication and modification by other basins that wish to undertake a scientific participatory process to increase river basin resilience. 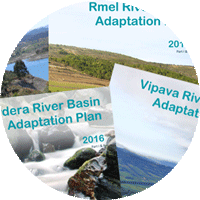 River Basin Adaptations Plans aiming to foster adaptation to climate change were developed for the four Case Study River Basins, where stakeholders engaged in a collaborative process with experts and policy makers. BeWater delivered recommendations aiming to strengthen policy and institutional frameworks in tackling global change impacts within water management and adaptation planning. The BeWater Policy Briefs target decision makers from local to European level, drawing on lessons and experiences across four case study river basins. 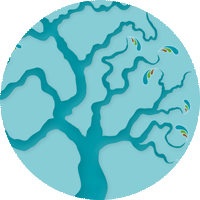 A recipe for success: the BeWater video infographic describes how science and society can participate in river basin adaptation planning. 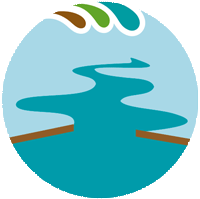 The approach developed through the BeWater project to make society an active participant in adapting river basin management to climate change is now available online. 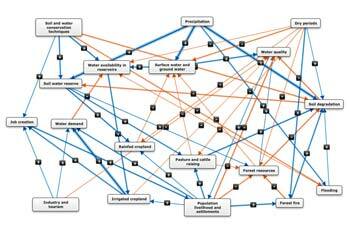 This paper, published in the journal Water, describes the participatory approach used to identify and evaluate river basin management options and details the application and evaluation of the approach in four case-study river basins across the Mediterranean. Making society an active participant in water adaptation to climate change highlights the Bewater approach and presents the most important outcomes, promoting the potential for replicability. What were the most pressing issues regarding the impacts of global change and the water management for each river basin? 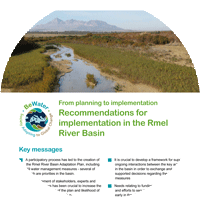 Each river basin identified pathways to address its challenges, with a total of 102 different options identified for consideration in the planning process. What were the options for water management in the river basins?